Donald Trump is one of the most polarizing figures in the history of American politics, but the animals in this collection don't care about the controversy- because they just want to try on his wild blond wig! 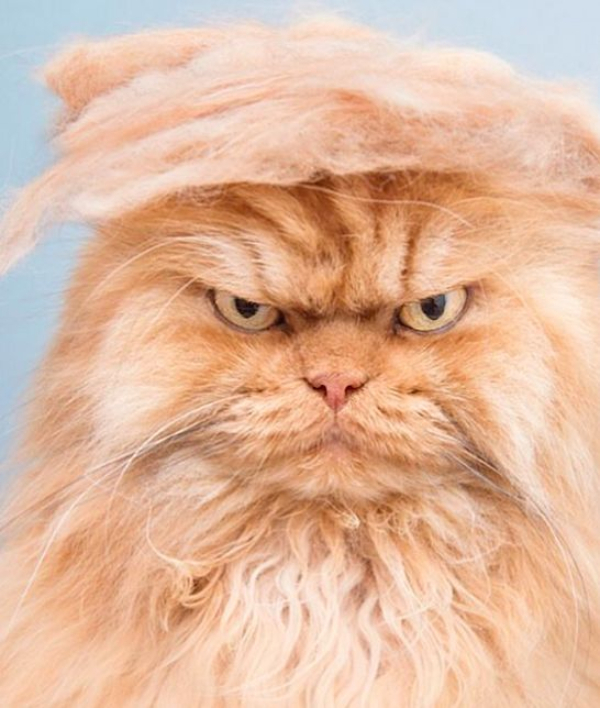 This wig-wearing cat perfectly captures the grumpy side of Donald Trump, only if you get too close to this angry kitty he'll claw your face off! 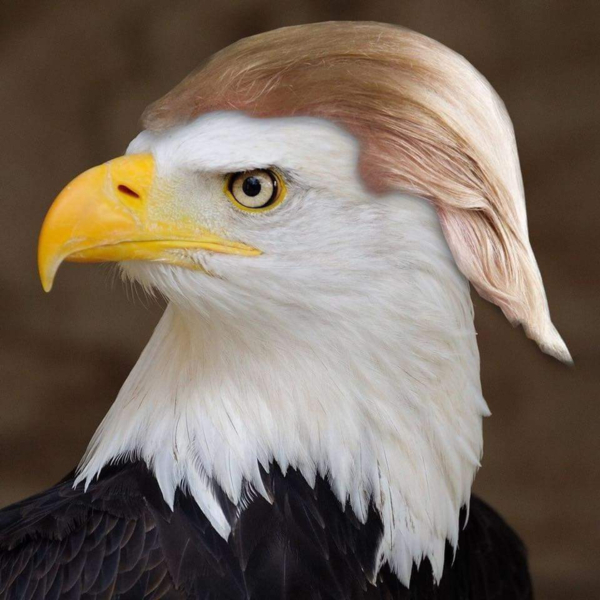 Bald eagles are the official animal of America, so it's only appropriate for an eagle to try on one of Trump's toupees to see how it fits. 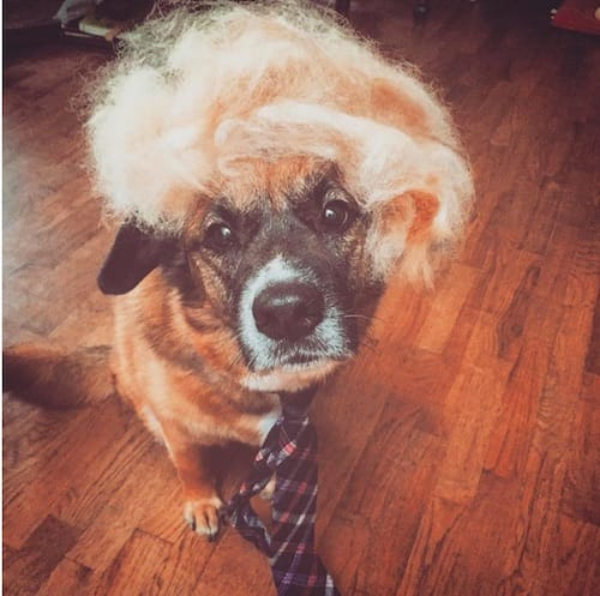 This dog doesn't look too happy about having to wear a Donald Trump wig, or maybe he just doesn't want to be associated with such a controversial figure? 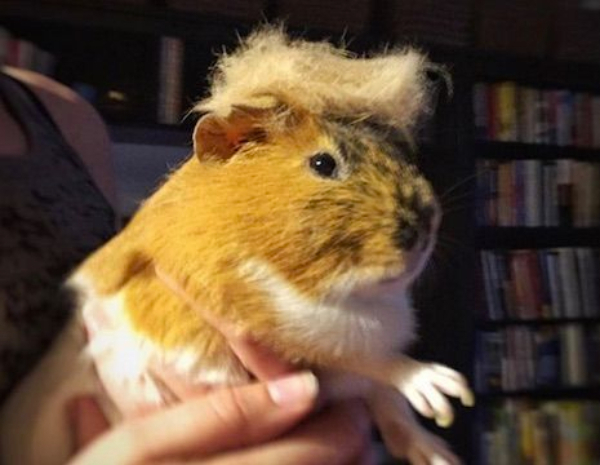 Guinea pigs don't like to play dress-up, but this one seems to be okay with wearing a Trump wig, probably because he thinks it will get him more treats. 5You're Hired, I Mean, Fired! 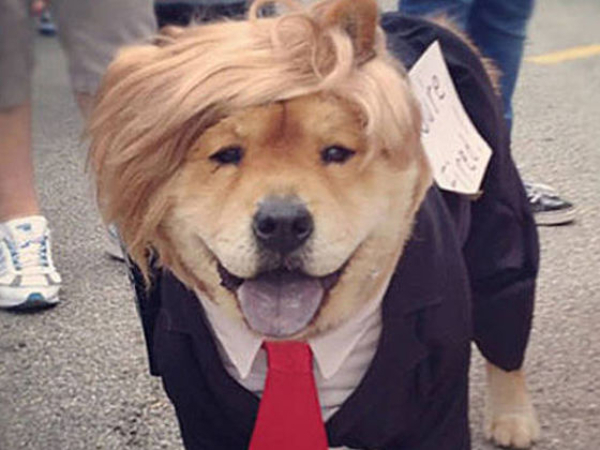 This dog figured if he was going to act like Trump he'd better dress like him too, and even though this costume was put together before Trump became President it's still just as fitting today as it was then. 6Did Trump's Wig Just Crawl Away? 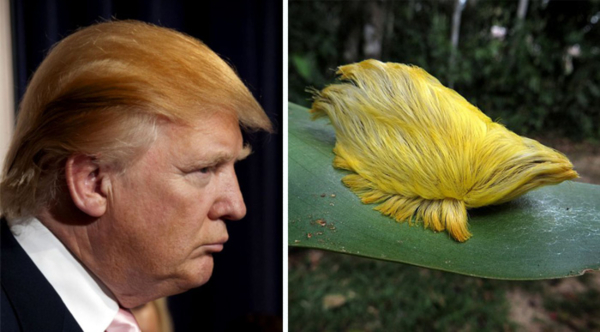 This strange caterpillar looks an awful lot like one of Trump's hairpieces, and if Trump ever visits the caterpillar's habitat it'll probably try to jump on his head and hitch a ride to the White House! 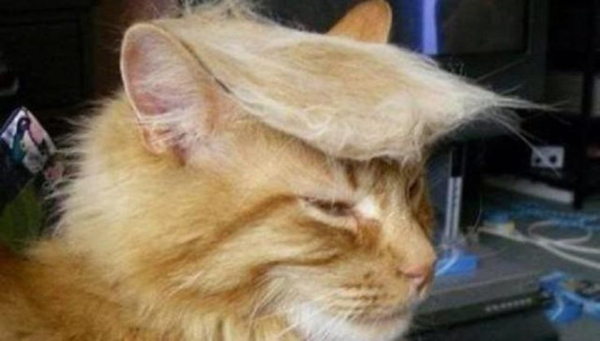 This chill kitty thinks he looks pretty cool sporting a Trump-inspired toupee, and you know what- he's right! In fact, he looks way cooler than Trump with that blond toupee on his head, so maybe he can give Donald a few fashion pointers in the future? 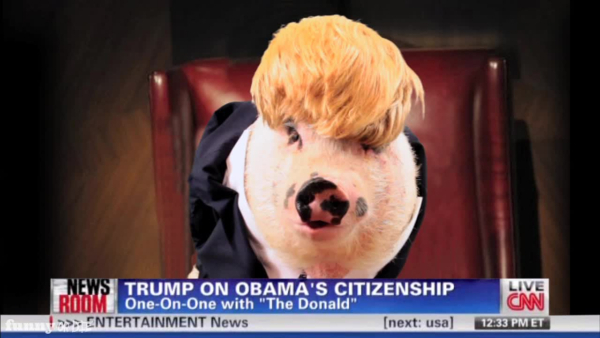 This pig was once mistaken for Donald Trump, and he even gave a press conference before people figured out he was a pig and not the President. Now he's writing a memoir about his time posing as Trump called "The Art Of The Squeal". 9I Is President Doge, Pleezed To Meet U! 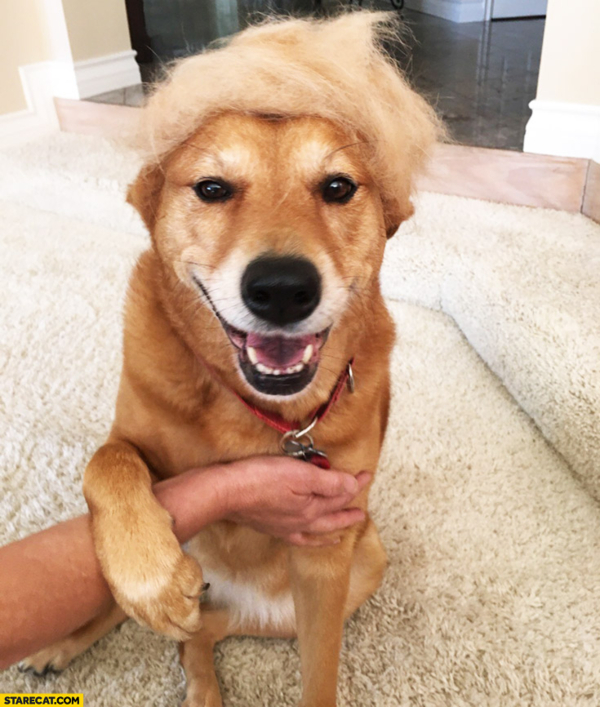 This cute little doggie was extremely excited to try on one of Trump's toupees, and he even wore the wig around town and served as an animal ambassador to foreign diplomats who had no idea how serious Americans are about pet ownership! 10Don't Play Chicken With Me, Kim Jong! 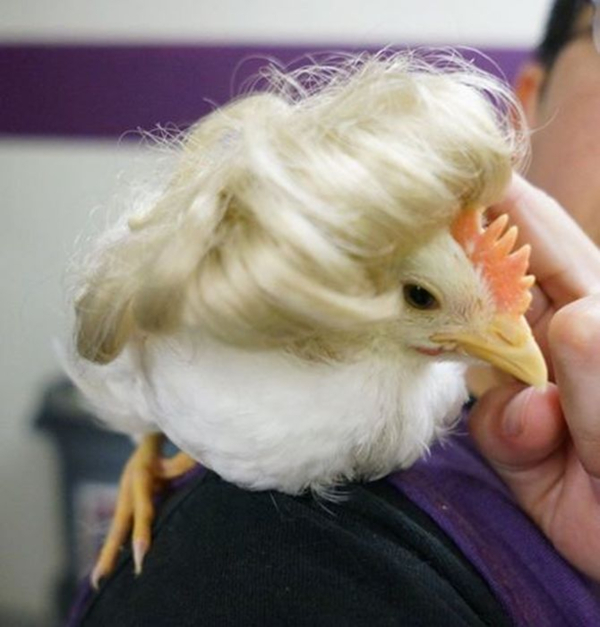 Chickens are not fond of wearing wigs, but this one decided it was worth wearing The Donald's signature wig in order to get adopted. Let's just hope she wasn't adopted by someone nicknamed "The Colonel"! 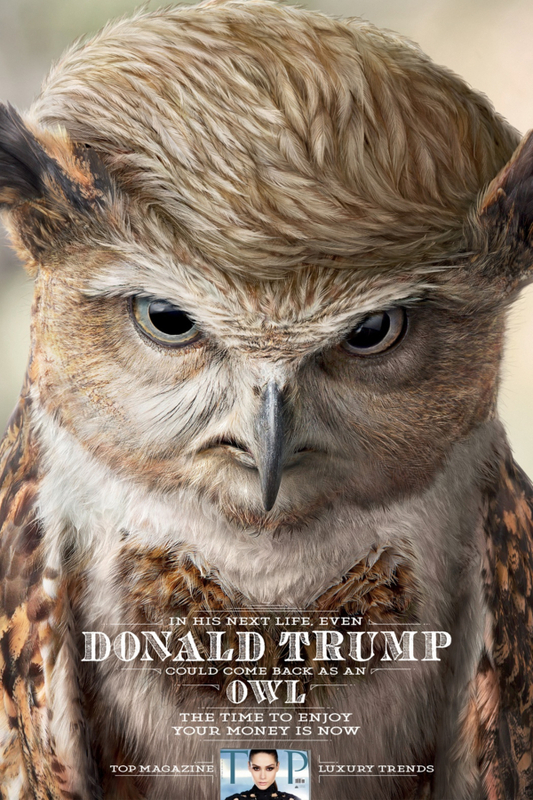 This image is obviously a piece of digital art unlike the rest of the photos on this list, but I had to include it because it really captures the way Trump would look if he was reincarnated as an owl. But is that mop of hair on top of his head all natural or an expensive hairpiece like the one the human Donald wears?